For the next Homecoming gang’s stop, we’re thrilled to land at one of Europe’s most infamous nightclubs: H2o Club. We’ll be taking over White Room for a house-heavy night that’s sure to run until early morning. 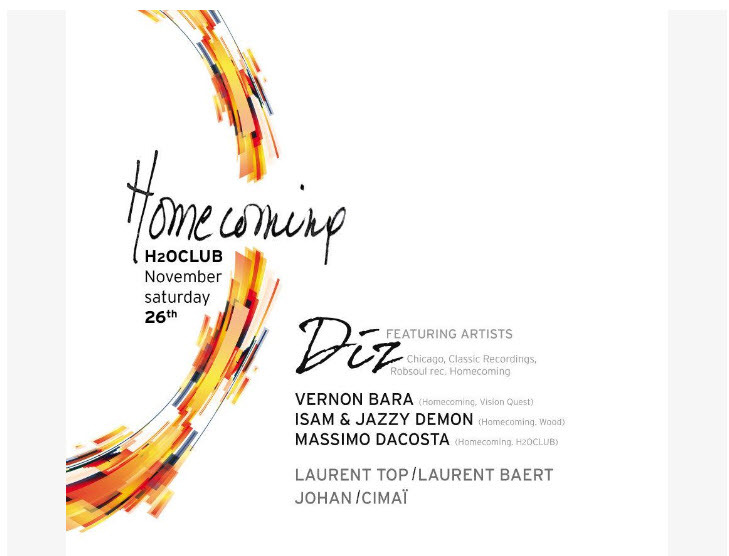 Aside from the label heads Vernon Bara and Massimo DaCosta, Chicago superstar DJ, lead singer of Freaks and half of one of the most influent house duo : DJ Diz will join us. Joining him are some of the finest Brussels talents and fresh Homecoming talents, Isam &Jazzy Demon.